The Micro Pro was engineered for repairing an air leak in the tread and the side wall of a bicycle tire. Repair plugs and accessories are stowed inside the six machined compartments making this a convenient tool for riders with little or no storage space. Also machined from billet 6061 aluminum, when fully loaded it weighs only 1.5 ounces. 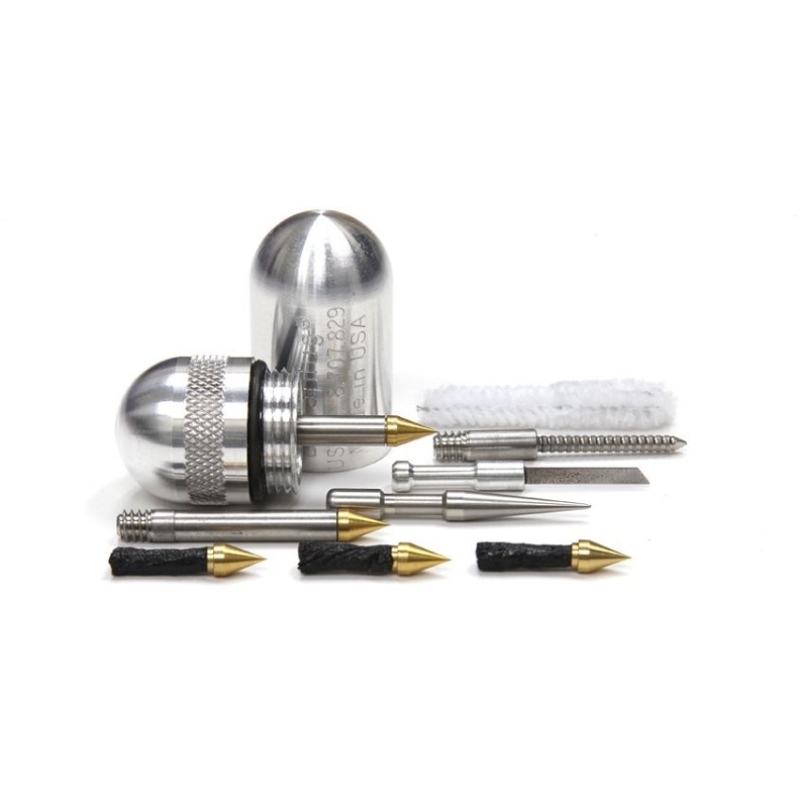 Dynaplug Micro Pro Kit includes: 2 insertion tubes, 5 tubeless tire repair plugs, 1 Knife, 1 clearing attachment, 1 pipe cleaner.